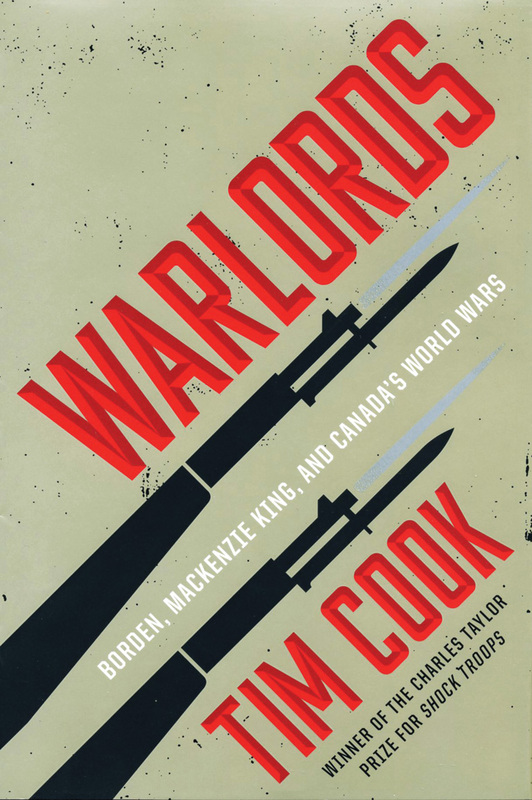 Warlords was published by Penguin Canada in 2012. Charlotte Gray’s fast-paced Gold Diggers captures brilliantly the excitement, danger, and thrill of the North, and the thousands who rushed there to find their fortune. I’m awed by her storytelling skills. I’ve also been dipping into J.L. Granatstein and Dean Oliver’s The Oxford Companion to Canadian Military History, where entries are written with expertise, clarity, and verve. Experts and amateurs alike will profit from a read. In preparation for my next book, Warlords: Borden, Mackenzie King, and Canada’s World Wars, I’m exploring how wartime prime ministers Sir Robert Borden and W.L.M. King dealt with the shocking changes wrought by Canada’s unlimited exertion, sacrifice, and loss in the two world wars. I’m currently delving into the King literature, rereading Blair Neatby’s classic William Lyon Mackenzie King: 1932–1939: The Prism of Unity, as well as several memoirs, including A Party Politician: The Memoirs of Chubby Power and Ottawa at War: The Grant Dexter Memoranda, 1939–1945 by the Winnipeg Free Press correspondent who listened to and reported on the chatter in Ottawa during the war years. As a glutton for punishment, I’ve also been working through King’s personal diary, which was digitized by Library and Archives Canada and is now available online. It is a fascinating and at times painful read. Not only do the wartime years span over 5,000 pages, but this is King at his pettiest, most fragile, and strange. His belief in mysticism and numerology fill the pages, but many of the passages also reveal his inner agony and profound worry about how to guide the country in war. I’m on about page 4,000 of the wartime years. I have moved steadily through a modified seven steps of grief, having passed through shock, anger, and pain to bargaining (only 20 more pages to go tonight), and I hope to land somewhere soon in the acceptance phase. Tim Cook is the author of five books, including The Madman and the Butcher: The Sensational Wars of Sam Hughes and General Arthur Currie (Allen Lane, 2010). Book Review: The nucleus of the book is Morris’s account of her mother’s institutionalization for seventeen years at British Columbia’s Nanaimo Indian Hospital, as well as Morris’s own experiences of racism in the Canadian health system.